While you might be looking for website and graphic design for your new Surrey business, for many existing businesses, it plays an equally important role as part of a rebrand. A good rebrand should never be taken lightly, and it plays an even more important part when the business has changed and the consumer has fallen out of love with how a brand presents itself or what a brand has traditionally offered. It’s been a difficult time for the high street for some time now, but none so much as the department store. BHS, for example, closed all its stores when the business collapsed, and after a short-lived stint as an online retailer, its website has now seen the final nail in the coffin of this once great brand. House of Fraser have also suffered, with the business recently going into administration and announced store closures and job losses. Its website too seems also to have been taken offline, leading to further questions about this struggling business. For the remaining brands who operate in this sector, it may sometimes feel as though you’re tarred with the same brush. 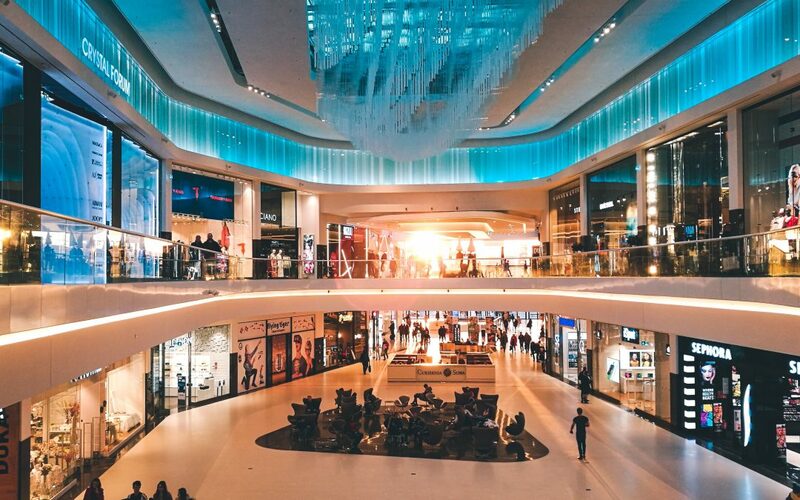 When a consumer hears a business is failing, it loses confidence in what it has to offer, and this undoubtedly creates further alienation against the likes of the department store sector. It’s no coincidence then that the two largest remaining players in this sector have made moves to show that their brands aren’t stagnant. Bake Off fans may have been mildly perplexed by the feature-length advert that aired during last week’s show which debuted a new branding for both John Lewis and Waitrose, or as they’re now known, John Lewis & Partners and Waitrose & Partners. Take a look at the new branding on the Dezeen website. John Lewis’ new look is monochrome, with an sans-serif typeface used in uppercase, and it undoubtedly feels more modern, without alienating its existing consumer base. But the real change here is in the addition of ‘& Partners’. The idea to play up the human aspect of the business, as in that everyone who works for the business has a real investment in it, drives home that there are real people who depend on you shopping there, which has long been the argument for trying to keep the high street alive. For Debenhams, the logo rebrand signifies a new marketing strategy, one that is focused on the store being a shopping destination. The new font for the Debenhams logo is a serif, but has an edgy, yet refined feel, where the old logo was somewhat void of personality. For this brand, the logo is the signal that their store experience has changed, and that it is becoming an experiential destination. The font suggests the brand has transformed into something with more of a point of view and has more of a direction moving forward. One of the changes announced with the rebrand is particularly telling – the adaptation of the ‘beauty hall’. A department store staple, yet often a bland space where brand recognition takes over. The new looks focusing on introducing new products to consumers, re-positioning the department store’s purpose. After all, consumers now know they can purchase much of these products cheaper online, but as a curated collection back up with expert knowledge, this space offers something much different to consumers. You can see the new Debenhams logo over at Transform magazine.